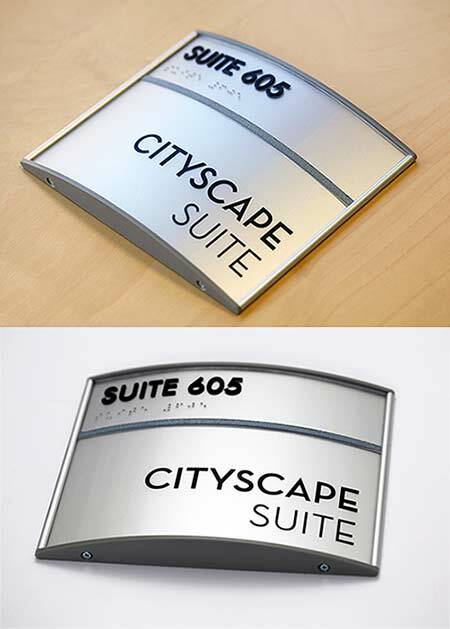 Contemporary and stylish - raw, satin aluminum office signs for any business, restaurant or building project. Modular sign frames featuring anodized aluminum frames and high impact plastic end caps. 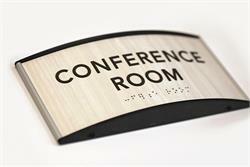 These curved-face sign frames include your company name and/or logo - also, at no additional charge, free ADA braille room names or ADA Braille numbers on the header. 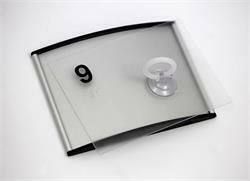 The end caps and sign dividers are available in black or grey plastic. 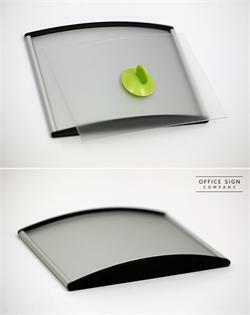 Removable, clear lenses on top and bottom portions of this sign. 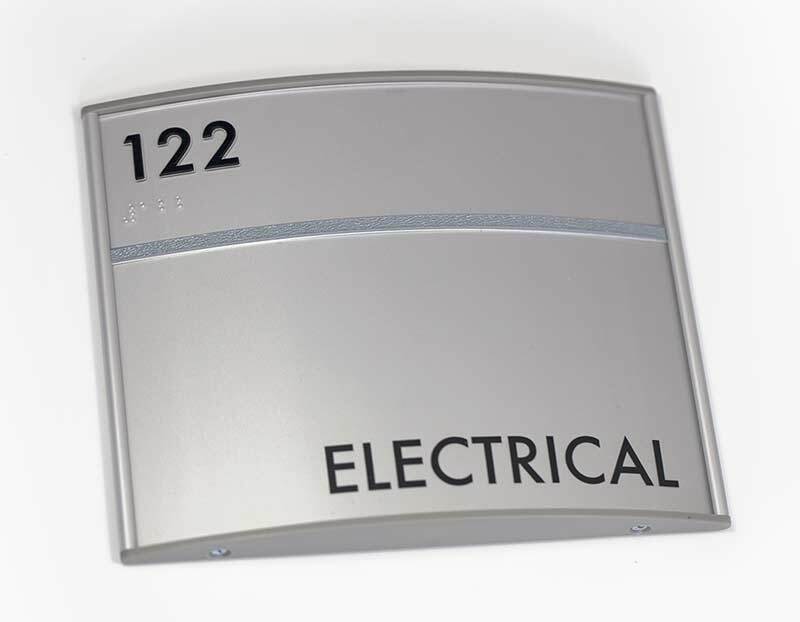 The header of these signs include free tactile text and ADA compliant domed braille dots - making this a smart ADA Sign choice. 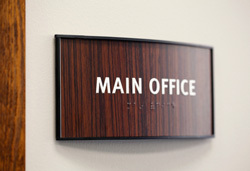 Main sign portion includes second-surface black vinyl text or graphics (vinyl is placed on the bottom side of clear lenses to avoid tampering or vandalism). What's ideal about these sign frames is the ability to order new lenses - for room number or employee updates and changes - no need to order an entirely new sign frame. 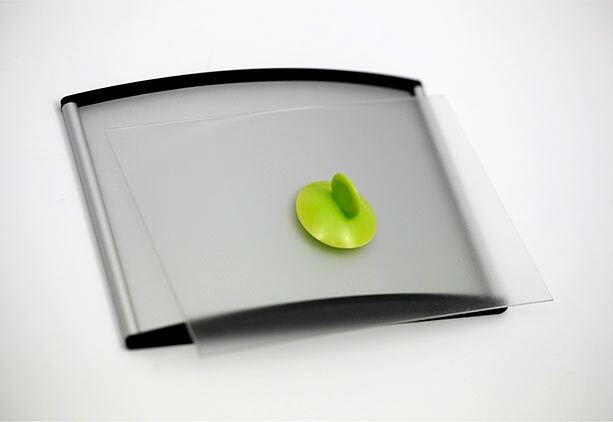 The clear, non-glare lenses are easily removed and replaced with the aid of a suction cup. The curved sign frame on this page features a curve from left to right. 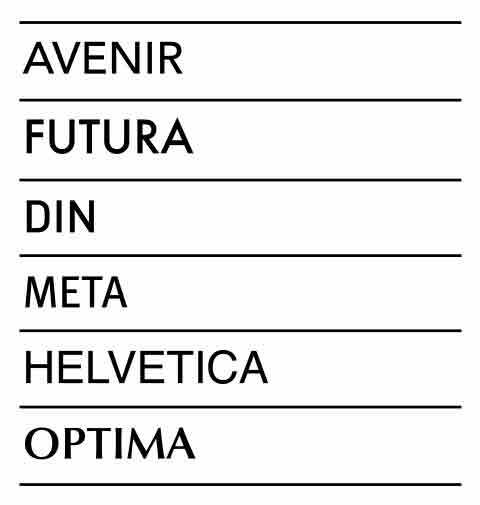 Dimensions to consider when ordering are the actual frame dimensions, as well as the clear lens sizes. 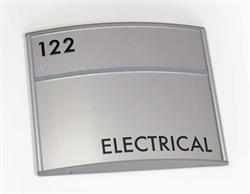 Signs feature a 2" Header area that can also serve as a footer by turning and mounting sign frame 180 degrees. 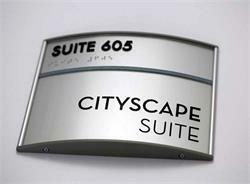 Curved office sign frames are a stylish and easy addition to any building project, new construction or businesses needing to add one sign at a time. Great modular wayfinding solution. 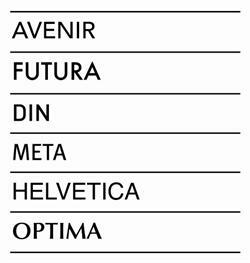 Please call for numerous size variations not listed on this page. 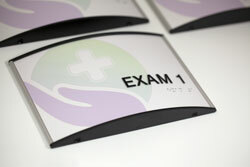 Signs available without header divider, just tell us what you need! 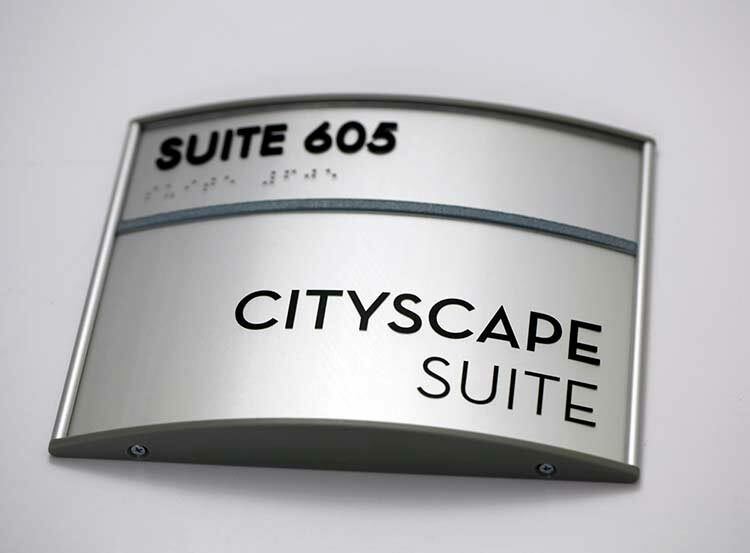 Raw Satin Aluminum Curved Sign Frames and Curved Office Signs & Wayfinding Sign Systems. Made in Fargo, ND USA. 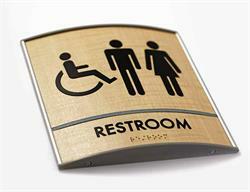 Personalize Top Portion of Sign - Tactile Text (May be character limit due to ADA regulations). 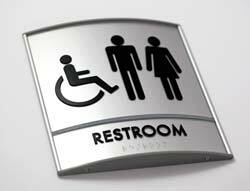 This will be ADA compliant unless noted otherwise. 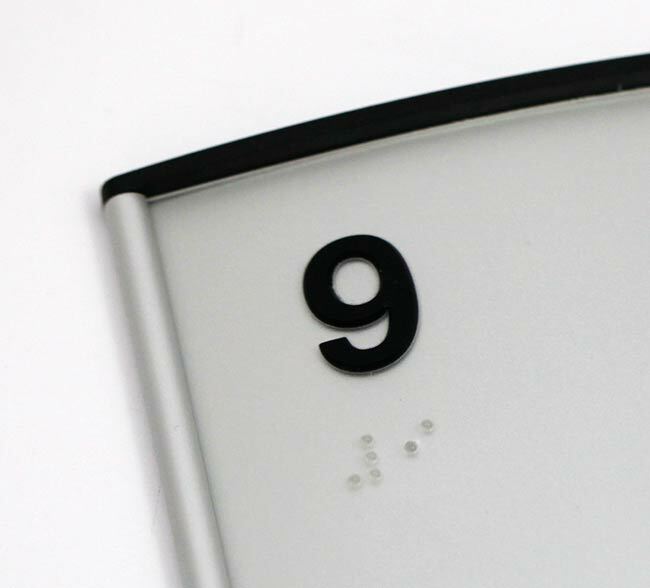 ADA compliant curved braille office signs include grade 2 braille and 1/32 inch tactile text on a removable matte clear lens with your choice of a satin silver anodized or black powder coated aluminum frame with black or grey end caps. 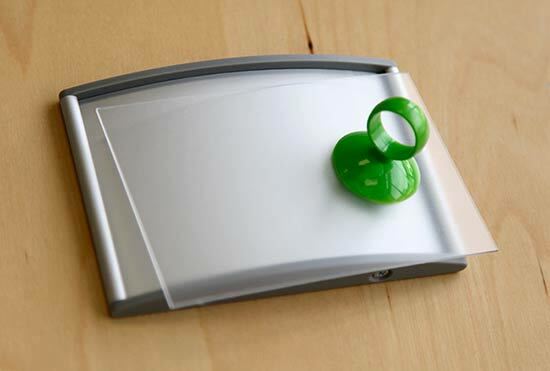 Custom inserts.